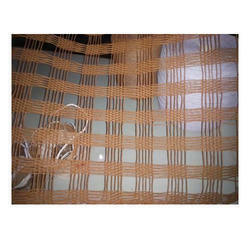 Our technological adeptness has made us the pioneers of developing high quality Paper Rattan Woven Mat. These mats are crafted from a manmade fiber, which is demanded widely for its unique looks and vintage finish. The paper rattan is an innovative material, which is maintenance free and ideal for eco friendly home decoration projects. Further, we are fabricating the quality product at our well integrated work setup and providing it to our prestigious clients at a leading price. Looking for Paper Rattan Woven Mat ?